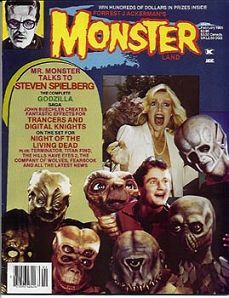 First issue of Forrest J Ackerman's Monsterland magazine marking Forry's return after the demise of Famous Monsters. Mint condition. Unfortunately, this mag did not have the same charm as FM and only lasted a couple of years. It was still nice to have Mr. Monster back in the saddle. Website design and hosting by Sohodojo Business Services. Item 249 of 466 items displayed in viewer. 0 items in cart.